A woman who believed YouTube suppressed her videos fired shots at the company's California headquarters on Tuesday. Police said she wounded three people before killing herself. Officials do not believe the woman, Nasim Aghdam, targeted the three victims. But they told the Associated Press that she had had a long-standing dispute with the company. She used the name "Nasime Sabz" online. A YouTube account under that name was removed on Tuesday night. Her website had criticized YouTube's policies. It said the company tries to "suppress" video creators. The site had posts about veganism and animal cruelty along with photos of Aghdam and her exercise videos. People can receive money from advertisements connected to their videos on YouTube. But the company will limit payment to some channels for reasons including unacceptable material or having fewer than 1,000 subscribers. Her father Ismail Aghdam told the Bay Area News Group that his daughter "hated" YouTube. He said she was angry that the company stopped paying her for videos she posted on the site. On Monday, he called police to report his daughter missing after she did not answer her phone for two days. She lived in the southern California city of San Diego. Ismail Aghdam said that he also warned the police that she might go to YouTube headquarters in northern California. 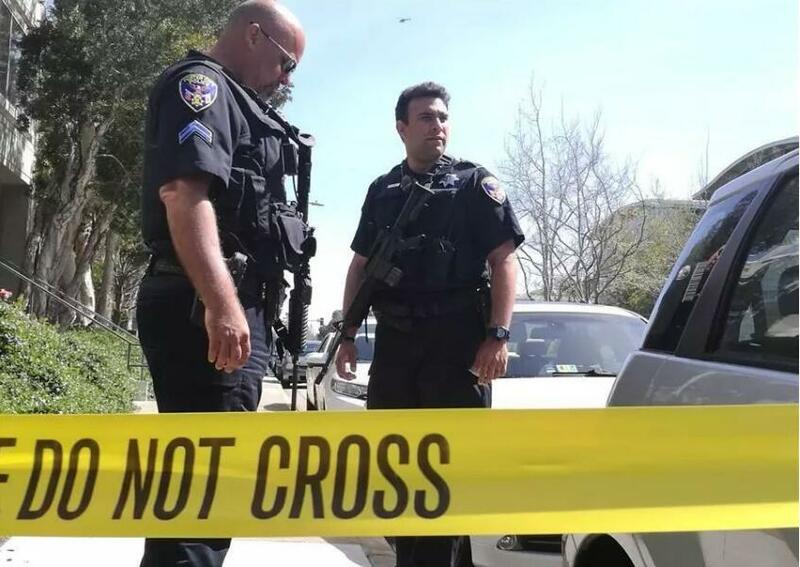 A police official said officers found Nasim Aghdam sleeping in her car around 2 a.m. about 48 kilometers from YouTube headquarters. She was let go because she did not appear to be a threat to herself or others. The police official official would not say whether officers had been warned that Aghdam might have been headed to YouTube headquarters. YouTube employee Dianna Arnspiger said she was on the building's second floor when she heard gunshots. She then ran to a window and saw the shooter on a patio outside. Arnspiger said, "It was a woman and she was firing her gun. And I just said, ‘Shooter,' and everybody started running." A spokesman for San Francisco General Hospital said one of the shooting victims — a 36-year-old man — is in serious condition. The two other shooting victims, both women, have been released from the hospital. A spokesman for YouTube said, "Today it feels like the entire community of YouTube, all of the employees, were victims of this crime." If you see an incident of animal cruelty, note the date, time, location, type and number of animals involved. Yesterday no fewer than thirty climbers reached the summit. Five of these patients are in stable condition while the other one is in serious condition due to her underlying disease. 5.She was let go because she did not appear to be a threat to herself or others. She let go of Mona's hand and took a sip of her drink. Peterson was let go after less than two years. 6. "There is no equal growth opportunity on YOUTUBE or any other video sharing site, your channel will grow if they want to!!!!!" Executives said in April that they saw the Chinese market as a major growth opportunity. With great brands and great management teams, we can harness that growth opportunity.